Richard has over 30 years’ experience. He specialises and consults in the areas of organisational design, governance, human capital and business strategy. He has worked extensively in the health, energy, automotive, telecommunications and IT industries; across both public and private sectors; in organisations with revenues of $1 billion; and at regional and national levels. Richard holds a Bachelor of Engineering (Mechanical); a Master of Public Health; and a Master of e-Business, which involved major research into people-culture approaches in e-business; from RMIT Univeristy. He is accredited in the Organisational Effectiveness Profile tool, used by Nous to help clients drive superior business performance. He holds an Order of Merit in the Australian Institute of Company Directors (AICD) Diploma and is currently completing a PhD in human resource flexibility in inter-organisational networks. 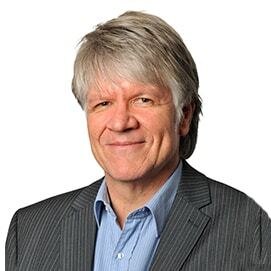 Richard is a fellow of the Australian Human Resources Institute, an accredited facilitator for AICD and a graduate of the Ashridge Business School Advanced Organisational Design Program (UK).